You and your horse belong together! “Learn, think, and work hard. New to 3 Peas? Get started here! Instruction takes place at Hunter Stables in Salt Lake City and North Fields Stables in Midway. Kimberley also travels to private facilities. Please contact her to schedule a lesson. While students develop their own skills in the saddle, Kimberley offers one-on-one work with horses who require additional guidance. At 3 Peas in a Pony, we educate our horses to think clearly and independently while maintaining the utmost consideration for the rider and his/her directives. It is our philosophy that a confident and capable horse is the happiest horse, and when it comes to the perfect partnership between horse and rider, a happy horse will work with you and for you. At 3 Peas in a Pony, children learn all about the horse, both in the saddle and around the barn. Children learn how to care for their horse with instruction on equine behavior; veterinary and hoof care; and horse feeds/grains. 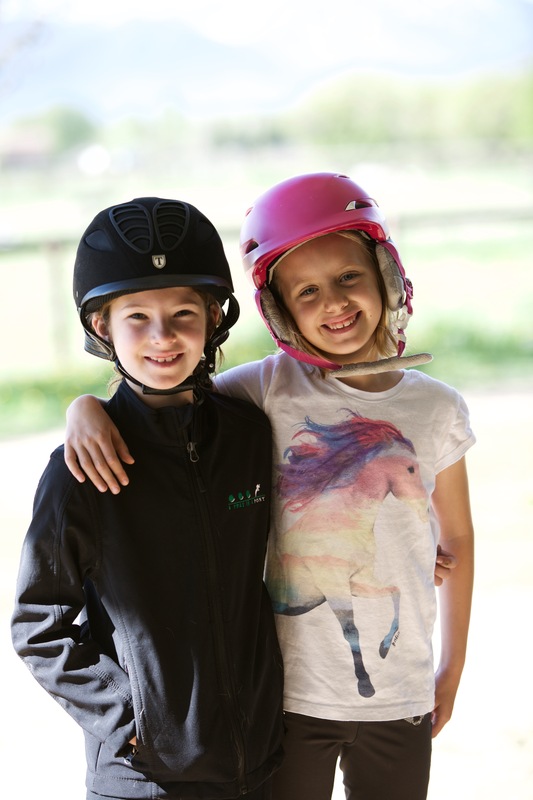 Children also quickly become proficient on horseback, and with the gentle guidance of our schooling horses, all students acquire the skills that make them comfortable and capable in the saddle. Childrenʼs Beginner Day Camps are a fun and safe environment in which to introduce your child to their favorite animal! Between our knowledgeable camp counselors and our gentle and experienced schooling horses, we offer children an exciting summer learning everything there is to know about horse riding and horse care.